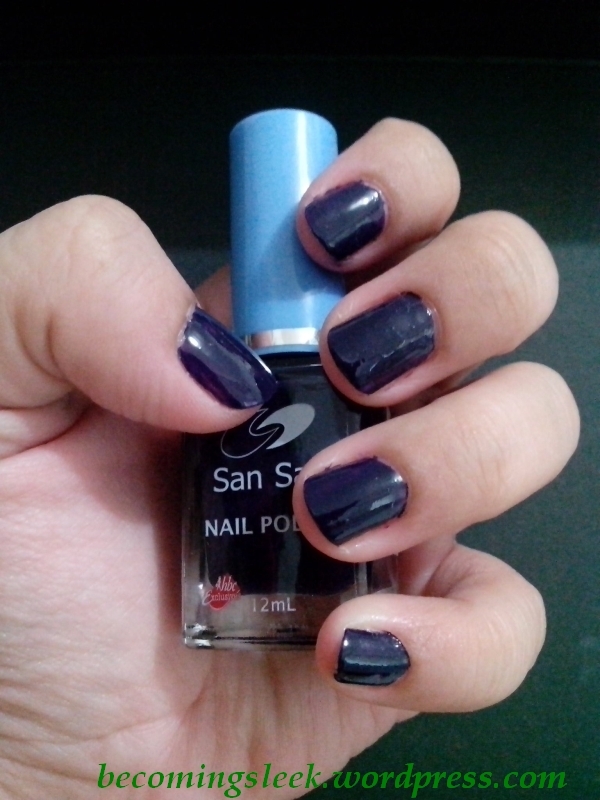 I have finally completed the swatches for these San San Nail Polishes that I acquired a few weeks ago. The first one I tried is the Lavender Blush. I wore it to a wedding I attended, where I wore a purple dress. I decided that it was an appropriate enough shade. It’s comes on very sheer that I had to use three layers for it to show. 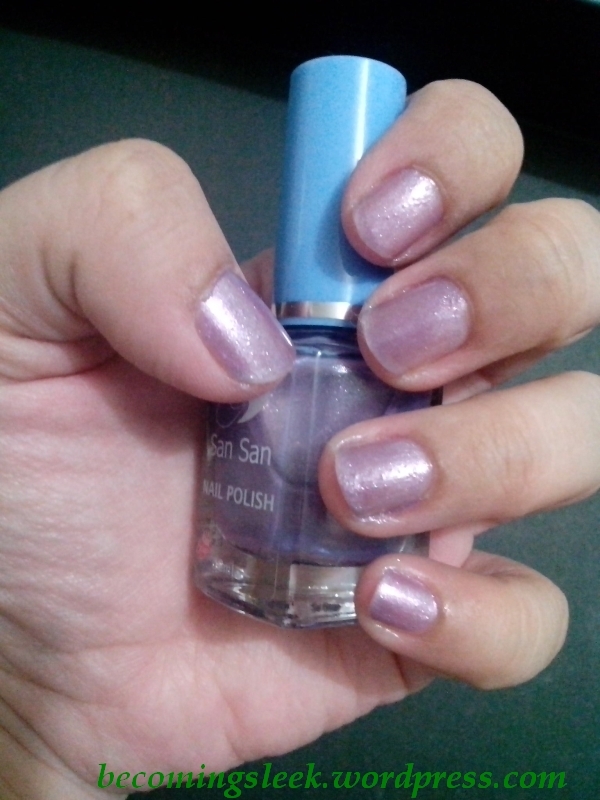 It’s a lovely lavender, almost pink, with light shimmers. 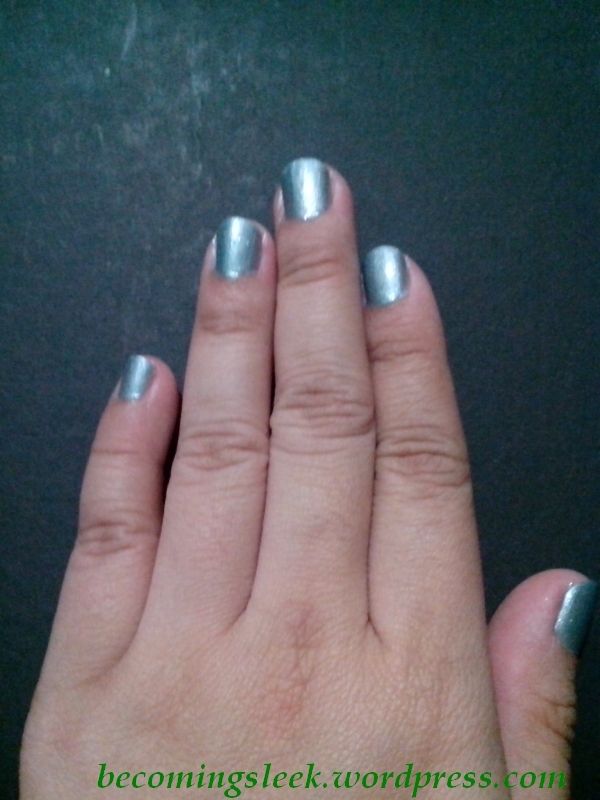 It was prone to bubbles though, even if I put on a top coat. Amethyst is the next one I tried. It’s a very thick (almost goopy) formula, and I only needed one layer. It’s a very deep violet, and almost looks black from certain angles. My husband is not a fan of dark shades, so I removed this a day after I tried it on. There were no bubbles in this shade. 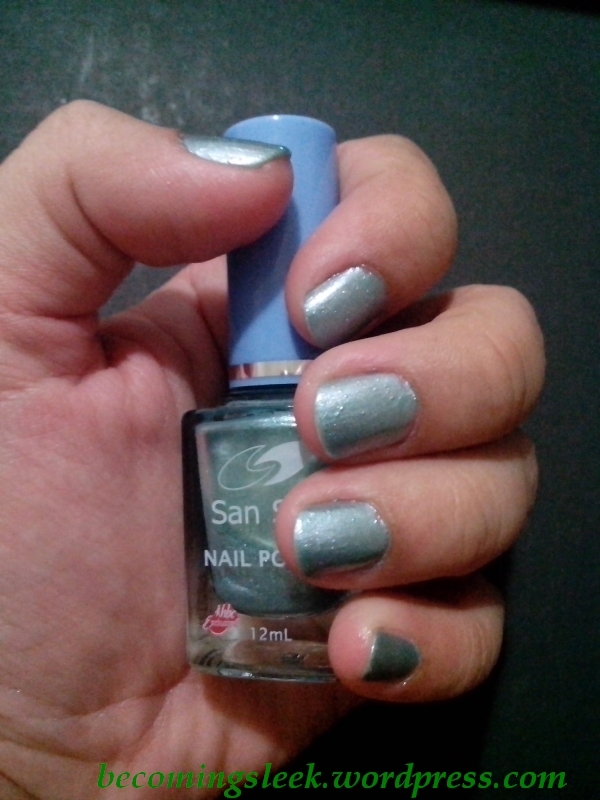 Lastly, I tried the Arctic Green, which is really a misnomer since it didn’t show as green at all. It’s more of a very light blue, almost aqua. As you may have seen from the bottle shots, it is very similar to Lavender Blush in that it’s sheer. Again I needed three layers here, and again those bubbles showed up.